A few weeks ago Chanel quietly released the palette which was used by make-up artist Tom Pecheux during Dubai Cruise show earlier this year. The palette first popped at Chanel Boutique in NYC (57th street), and I have seen the first photos at Instagram from @lepanties. The stars, copper and gold screamed my name. I am hearing it will be released also in Europe with a bit of delay (I have heard that it will be early next year). Tom used the black kohl all around the eyes for an oriental eye make-up, leaving a space between the prolonged wings from upper and bottom lashlines. Then geniously he added that leaf of gold on the inner corner. Love the look and the hair styles on this show. For a full review and more photos, check out Vogue UK. Chanel Dubai Cruise Show, Makeup by Tom Pecheux, photo rights Chanel, source Vogue UK. 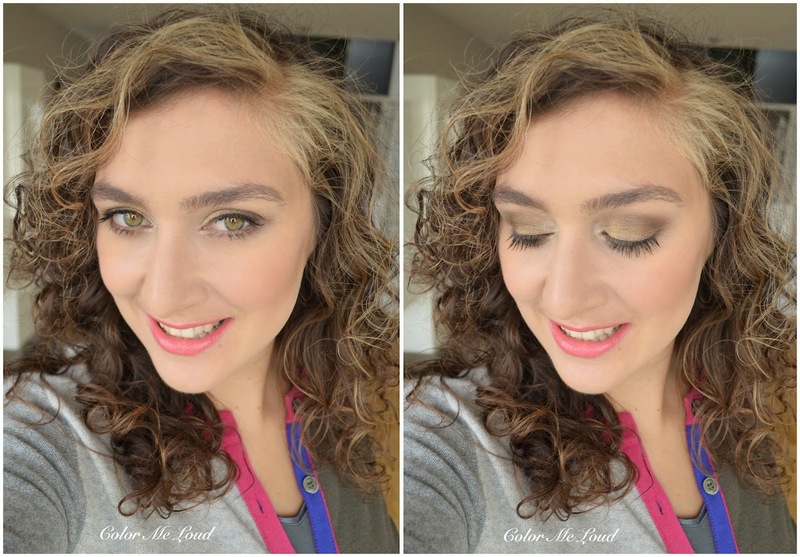 Now back to Chanel Rêve D'Orient Quadra Eye Shadow. It is a beauty on its own with lovely stars embossed on its surface. It was too beautiful to swatch (bloggers dilemma anyone?) but someone had to do it! It is housed in a signature Chanel Compact which is the same as their regular quads. It has 2 g of product, similar to the latest eye shadow launch. 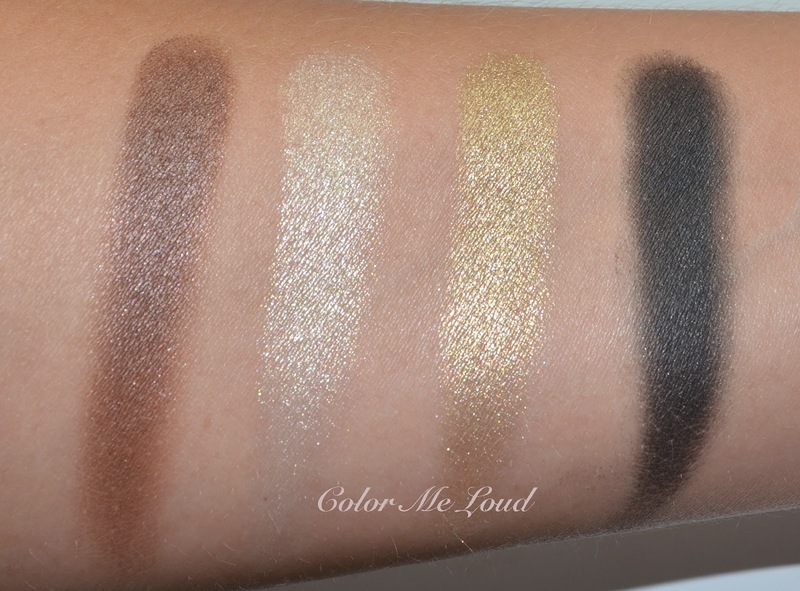 I would say the complexity, the textural feel and pigmentation of the eye shadows are also similar to these. 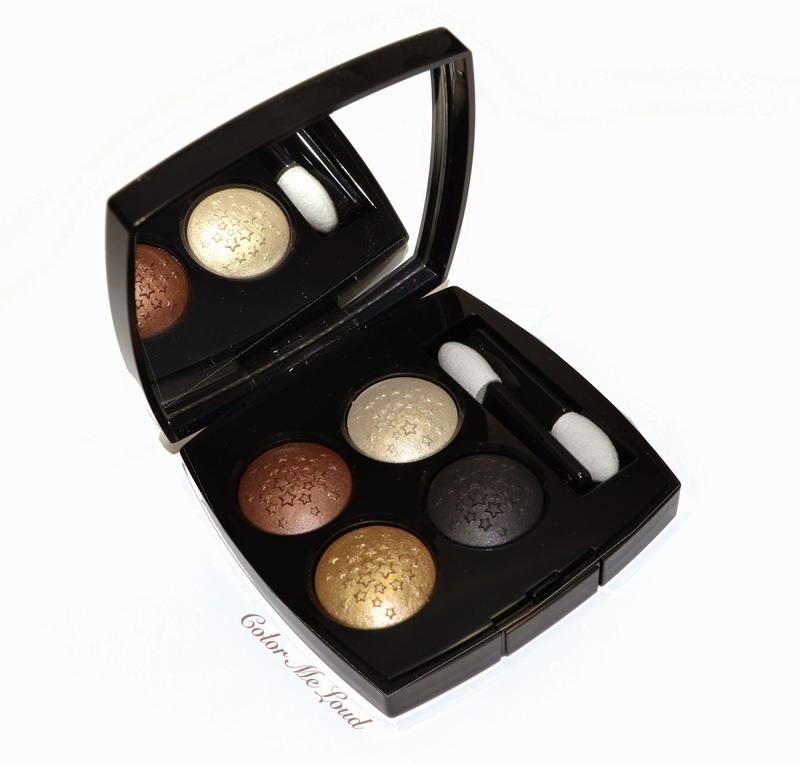 Chanel Rêve D'Orient Quadra Eye Shadow consist of three shimmery/metallic and one matte shade. Doesn't that look so Christmas/Holiday to you? I actually find it more season appropriate than the quint they released with their holiday collection (reviewed here). All in all the coppery shade in the pan is more of a natural brown with complex shimmer and quad gives a natural eye with a golden twist. Top left: A warm deep brown with shimmery finish. I was thinking this would have more red/copper but it is more of a wearable brown with lovely multi-dimensional finish. Top right: A very light white gold with metallic finish. As all the other shades this is also very pigmented. Although it is metallic, because of its multi dimensional shimmer, it doesn't look cheap nor frosty. Bottom right: A very deep true black with matte finish. This one is insanely pigmented. It is like MAC Carbon done right if that makes sense. It doesn't produce fall out and it is lovely as a liner or as a definer on crease/outer corner if you want to really go dramatic, like done in the show. Bottom left: A mistuned natural gold with metallic finish. This must be the most beautiful gold I own to date. I would describe is as "foil finish" if it would be a nail polish, does that make sense? It is so smooth and pigmented and it applies beautifully. Below I have applied the white gold on the inner corner, gold on all over the lid, brown on the crease and outer corner. I then smudged a little bit of black along the lash line. I would like to demonstrate how I would wear it daily. The result is really natural and appropriate for office. That said you can turn the drama button to 10 if this look would be like 3 or 4 what you can achieve with this quad. Do you see why I like it? Also worn on the eyes: Urban Decay 24/7 Glide On Pencil in Twice Baked (my go to liner!) and Lancome Grandiose Mascara in black (loving at the moment!). Here is the look in context. YSL Fusion Ink Foundation on my face (B20), Tarte blush palette on cheeks, Lancome L'Absolute Rouge #246 in Rose Comtesse on lips. I will try to review both of them soon. It is so busy here with all the holiday releases, I am trying to keep up. 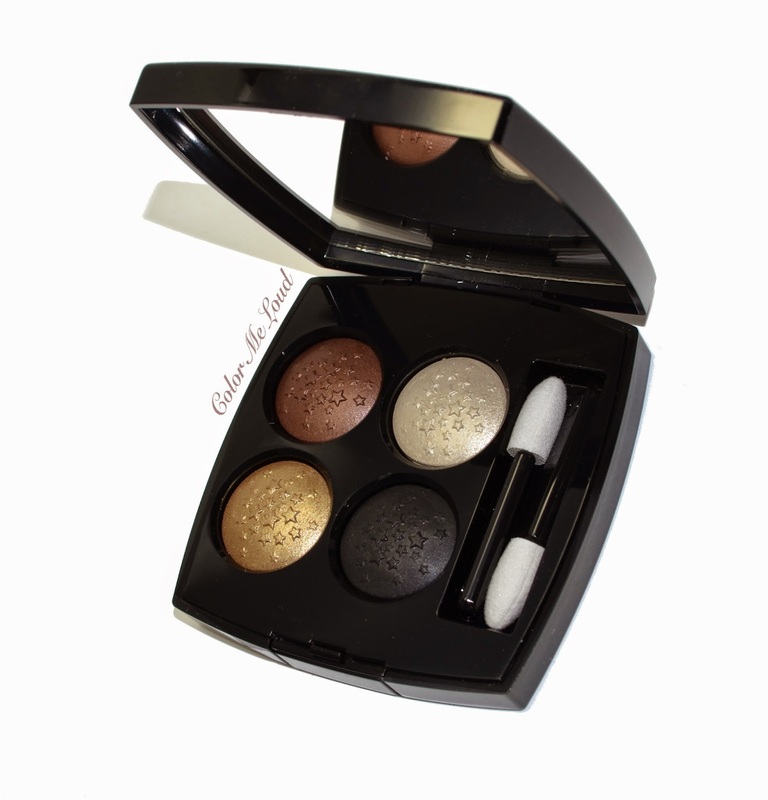 Final thoughts: I am loving Chanel Rêve D'Orient Quadra Eye Shadow Palette because it is nicely pigmented, has multi-dimensional shimmer, and a very black matte to define and add all the drama necessary, so in versatility, this product wins. Are you going to hunt those stars? LOL, I know what you mean, I also have dupes to create this look but this one is nice and somehow I wanted it too. Does anyone know anywhere else this can be purchased? Thanks! in US it is available, I believe even online. For the other parts of the world, a bit patience is required. It should be available in December or January. Where are you located? In the US! I will try to find it online again. So far have not been successful! Hi, yes Kelly, I agree, great for holidays! I love this one, but their Christmas Palette was really a disappointment. OH my goodness Sara this is soo beautiful! I love your eye look so much and wow how pretty are the stars? That stars are really cute! Love it! Its light and natural. Great choice indeed! I think this black really works good, I like it as an addition. I sometimes mix it with other shades to make them a little darker too. I am sure you will get hold of it in London soon. gold is really not too yellow. It is warm but not too much. It is available in US at the moment. 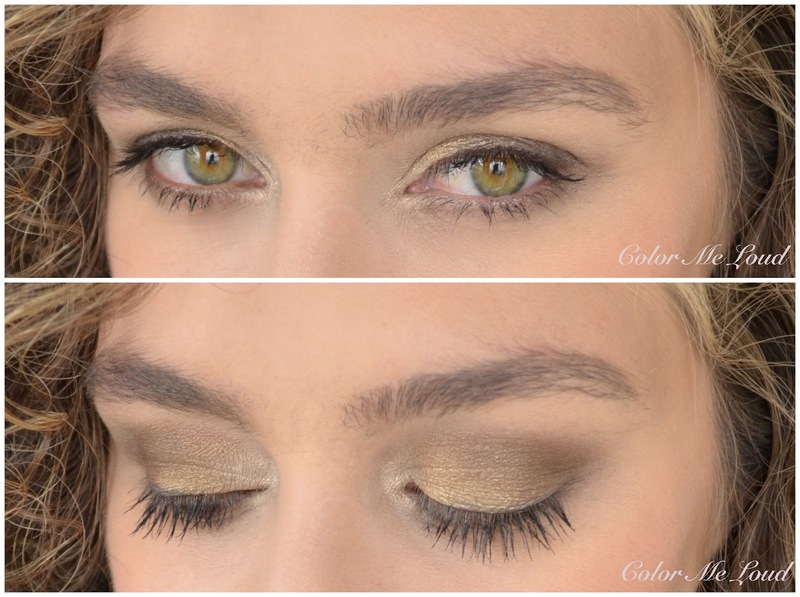 Doesn't it remind you of a recent Charlotte Tilbury's palette? It is also with the stars and the colors are almost identical. yes Charlotte Tilbury Super Model palette has similar stars but as far as I know it is more of a taupe palette than gold and black. I am hoping too that it will come here. I asked two times and a lovely SA asked Chanel Germany manager, she told me it will come eventually but not yet. 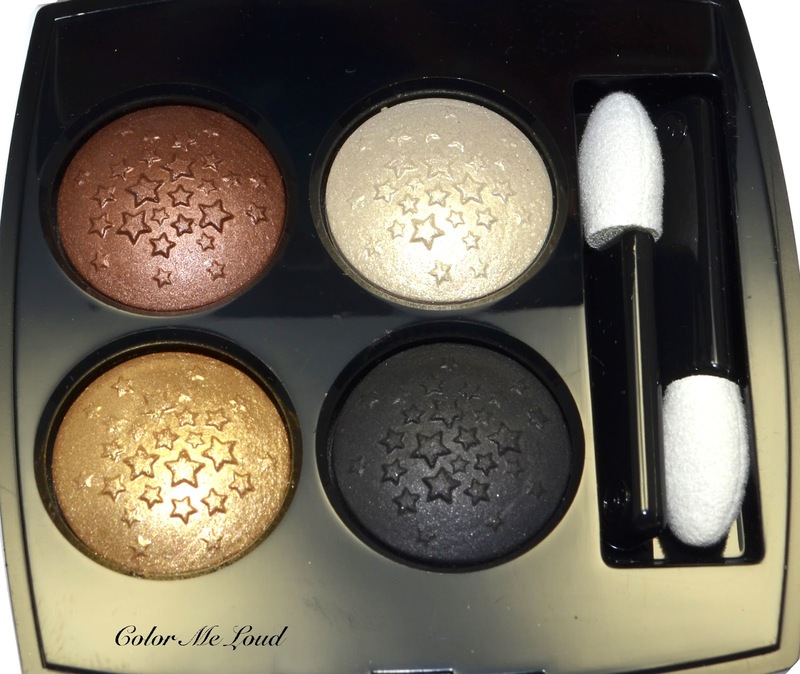 This palette looks great - I think it's those stars :-P Nothing unique in the shades, but still, those stars! LOL! LOL Lilly, we are all like kids right. I was also like "oooh stars! give me that!" Oh, LOVE! But I haven't seen it anywhere in the States, except on eBay. It isn't sold already is it? It is being released on Black Friday at Nordstrom, but might be available at other stores, I don't know. I put mine on hold with Shana. She had a few left. Her number is 310-750-1415. From speaking to different Chanel counters, they only received 8-10 palettes at each counter. Some counters were sold out on presale already. I hope you find it!